After a conversation with one of my friends, he told me despite taking 2 jobs, he brings back barely above 1K per month, he is happy as he is. I wonder how he can be as happy as he is considering he has to skimp his life with the low pay to support a pair of old parents, in-laws, a wife, 2 daughters and the many bills of a household. He explained that it was through one incident that he saw in India... that happened a few years ago when he was really feeling low and touring India after a major setback. He said that right in front of his very eyes he saw an Indian mother chop off her child's right hand with a chopper. The helplessness in the mother's eyes, the scream of pain from the innocent 4-year-old child haunted him until today. You may ask why did the mother do so; had the child been naughty, had the child's hand been infected?? No, it was done for two simple words - - -TO BEG! The desperate mother deliberately caused the child to be handicapped so that the child could go out to the streets to beg. Taken aback by the scene, he dropped a piece of bread he was eating half-way. And almost instantly, flock 5 or 6 children swamped towards this small piece of bread which was covered with sand, robbing bits from one another. The natural reaction of hunger. Stricken by the happenings, he instructed his guide to drive him to the nearest bakery. He arrived at two bakeries and bought every single loaf of bread he found in the bakeries. The owner was dumbfounded but willingly sold everything. He spent less than $100 to obtain about 400 loaves of bread (this is less than $0.25 per loaf) and spent another $100 to get daily necessities. Off he went in the truck full of bread into the streets. As he distributed the bread and necessities to the children (mostly handicapped) and a few adults, he received cheers and bows from these unfortunate. For the first time in his life he wondered how people can give up their dignity for a loaf of bread which cost less than $0.25. Now I begin to think and feel it, too! Was my life really that bad? Perhaps... no, I should not feel bad at all... What about you? Maybe the next time you think you are, think about the child who lost one hand to beg on the streets. "Contentment is not the fulfillment of what you want; it is the realization of how much you already have." It's true that we don't know what we've got until we lose it, but it's also true that! We don't know what we've been missing until it arrives. 1.When you are new in RAN Online... DO NOT CREATE A CHARACTER FIRST. 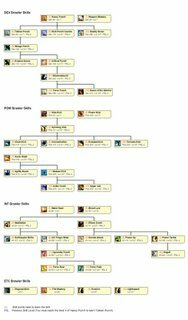 Think which class you will choose. and armors... try not to buy Freshmen and Sophomore Sets... ITS A WASTE OF GOLD... BUY THE JUNIOR SET INSTEAD... Now you can finish your quests peacefully and fast. with cash... Try to buy a 5HR Rosary (37 EP) and more POTS (15 EP).Now buy NPC Armors next to add Defence. 40-50 - If you can beat ONSLAUGHTS fast enough... try completing the "Heading Outside Campus Quest"
5.Open a personal market and sell the 3 sets of megaphones at least 25,000-30,000 Gold Price and Wait. 6.If items are sold out... you can make at least 1m-2m. Now buy your weapon , armor , and supplies. I'll be leaving Globe Telecom soon and it is sad for me because I have really enjoyed my time here. I will miss a lot of people here that have become good friends. I could mention names but I think (hope) you know who you are. Located at the lower portion of the gang menu. Archers trained in the art of power are one of the most scarcely populated warriors in the world of RAN, and it is much to our regret that power archers are regarded by some inexperienced players as, ironically, powerless. 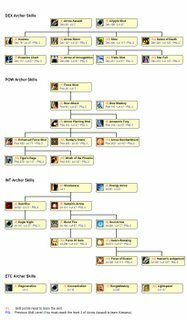 Yet, as I said in my other posts, "DO NOT UNDERSTIMATE POWER ARCHERS", and as such, I would like to present possible builds regarding the power archers so that people may understand further. 1) Power archers' techniques are generally SLOW. 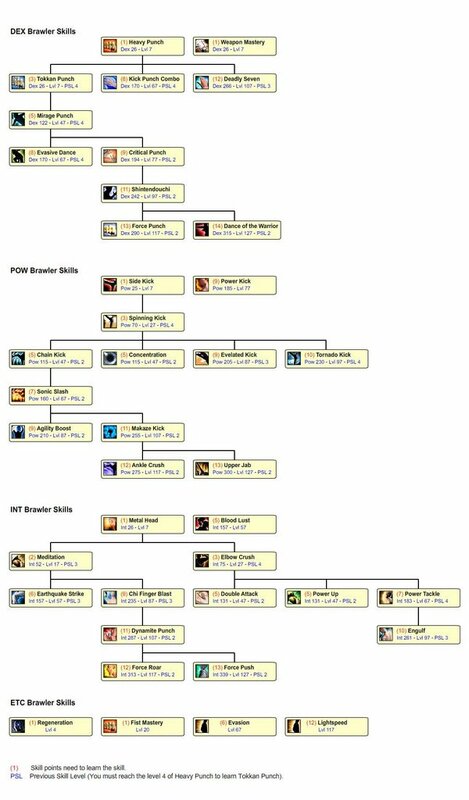 Most skills, with the exception of Amazon Fury, need charging and take at least 3 seconds to cast. Skills also take long to cool down. 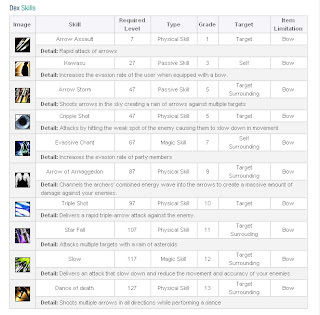 2) They deal HIGHER DAMAGES compared to other archer types, even when using low level skils such as Arrow Assault. As low as level 107, equipped with a very good bow, even with slow casting, they are PERFECTLY CAPABLE OF A 1-HIT KILL in PK. In short, one hit wonder! 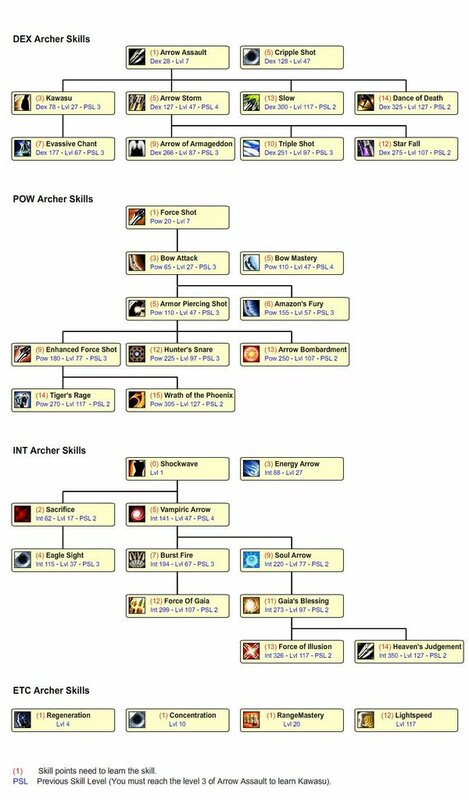 3) Compared to other archer skills, the power skill tree boasts of the LONGEST SKILL RANGE in the game, hence, power archers, in my opinion, one of the most proficient missilers of ran online. 4) Power archers DO NOT RELY ON DAMAGE ALONE. 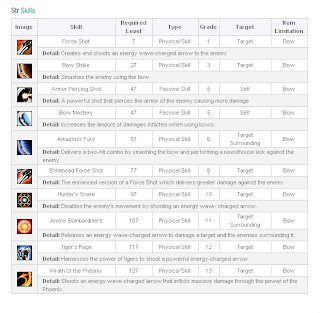 Hunter snare is one of the best skills a power archer can have. While the target is running away, the power archer can stop the enemy. This one of the few skills that can slow down a character using Lightspeed or Massive Haste. 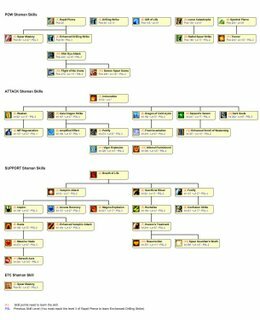 5) Perhaps, one of the most annoying things with the power skill tree is some skills are needed to be mastered to master higher skills. Sa tagalog, MASAYANG SA SKILL POINTS. CAUTION: To master Bow Mastery, master Force Shot first; to master Armor Piercing Shot, master Bow Strike First. 6) As with all archer classes, the power archer has LOW HP even at high levels. Also, without excellent armors, power archers (and also int archers) have low defense, so they can also easily get killed. 7) Putting these together, the power archer has low chance of winning duels against faster attacking builds and classes. However, they are good player killers given the chance to strike. 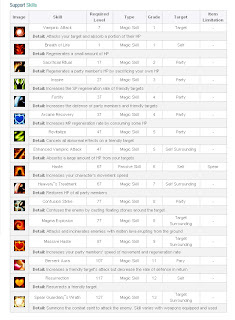 I think that these two of the many possible builds are suitable. However, this must not mean that this is 100% correct =). There are many more possibilities that might be better than the ones I will present below. Feel free to try on other possibilities. Mga build lang to na pumasa sa utak ko nyehehehe. This is my current character build im working on. Good for PK. This is based on the build of my friend. Makes use of the Evasive Chant. Take note that some skills are sacrificed at low levels. Great for leveling up at higher levels and also good for PK. 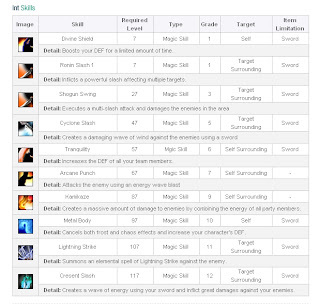 Some damage points are sacrificed for a defense and evasion. Pow - same as above, but DEX must be pumped to the recommended level first. Dex - around 170. Dex can be pumped by using enhanced equipment and jade rings. Vit - depends if u want to put it here or not. I suggest u still invest it here. BIG NOTE: Other feasible and good builds can be created from the two builds i mentioned above. 2) Do not charge head on, instead, wait for the correct chance to strike. The power archer is not a solo-mode killer without proper armor. 3) If you cannot kill a running target dahil kulang ka sa damage, make him/her stop or slow down using hunter snare, so that other PKers can catch up. 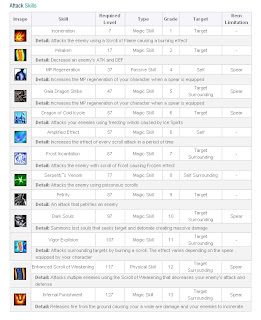 4) For targets using slow but powerful skills, try cancelling them. Better to fight instead of running but ending up dead dahil lang sa isang one hit shot. 5) Pag may POW UP NA! SUNTUKAN NA TO! SUGOD!~~~ ilabas ang LAKAS! =) pero ingat parin maded sa one hit kill. nde lumalaki life pag pow up. damage lang. 6) POTS power is the best power of them all. amf. =) But, if you cannot defeat somebody. RUN! hehehe... Archers have the fastest base movespeed in the game. 2) hindi ko nasabi pero ang amazon fury ay isang good duel skill, make use of this pero ingat sa elec weapons kasi babagal ka todo. 3) shockwave/arrow assault spam is always useful pag nde mo kaya kalaban mo pero hindi ka nya kaya i-one hit. onteng urong lang pag brawler para kailangan nila lumapit. 4) dapat marunong din kayo mag observe sa ginagawa ng kalaban para malaman nyo ung da best na gagawin. style din sa duel ang onteng paabang abang. 5) baps muna bago laban. HAHAHAHA. 6) tulad ng sinabi ko kanina! pag nagmiss ka TALO NA! TALOOOOO TALOOOO! un nga lng, bad experience ko lng d2 is mahirap mag hanap ng party ang pow type brwler lalo na pag low lvl k plng..
sana may mag correct(MGA IDOL NA POW BRAWLER SANA I-TAMA I2). 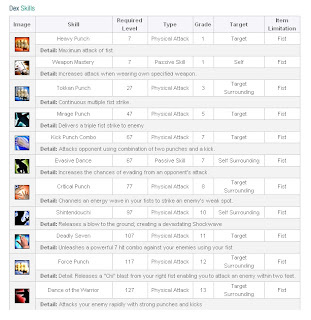 Twice na ako nag reset ng skills ko.. Mahirap tlaga ang pow brawler sa umpisa. In the beginning kailangan mong imaster and spinning kick. 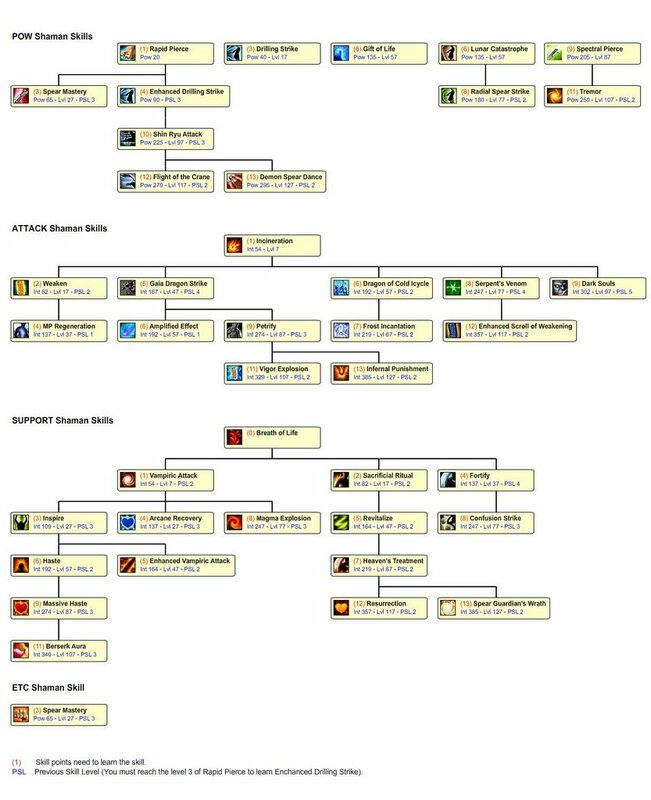 This is your bread and butter kc pang mob skill cya. You do not need concentration and agility boost sayang ang skill points. Get sonic kick tulong na rin yon kc lakas din the damage non. dont get power kick yet. 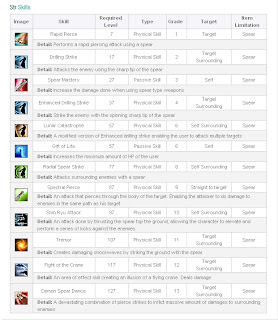 Reserve ka ng enough skill points para mamaster ang elevated kick, then put around 5 skill points sa power kick. Pag may elevated kick ka na, madali na lang pumatay ng monsters. take note that elevated kick has a 360 degrees range (break dancer ka na). Malakas ka na maglure pag may elevated kick ka. To continue, palevel ka lang.. carpark.. sa leo.. Master tornado kick. Pagdating mo ng level 107, advisable na magreset ka ng skills. so far, master mo ang makaze, tornado, elevated at power kick. Put enough skill points sa iba. 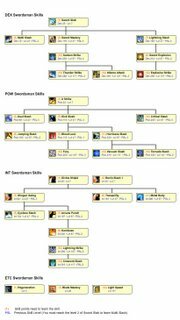 sa etc naman, kumpetuhin mo na ang fist mastery, its your choice to master evasion. Pagtapos mong magreset ng skills, you have enough skill points to lear ankle crush and upper jab. Pow brawler, pots power ka din.. lalo sa MP.. madalas akong nagdadala ng 150 medium MP. 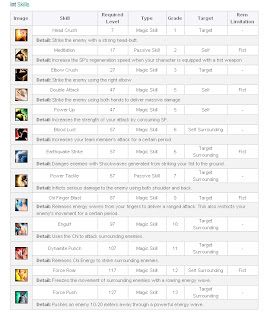 A power brawlers' mob control skills is dominant at level 87 (agi boost and elevate kick) though spinning kick can be attained at level 27, its only 1 skill but good mob control (hitting over 9 targets when mastered) added with the buff of a power kick skill (attainable at level 77). It seems like a long trek but you have a party when you mob so its best to just hit once with a spinning kick added the buff of a power kick skill. It goes well, trust me. And when you reach 87 and above.. RIDER KICK!!!! Indeed high level dex brawlers have good defense and evasion but even though they have that, the accuracy rating of a power brawlers weapon minimizes their evasion chance. Also concentration skill can make a power brawler miss less. 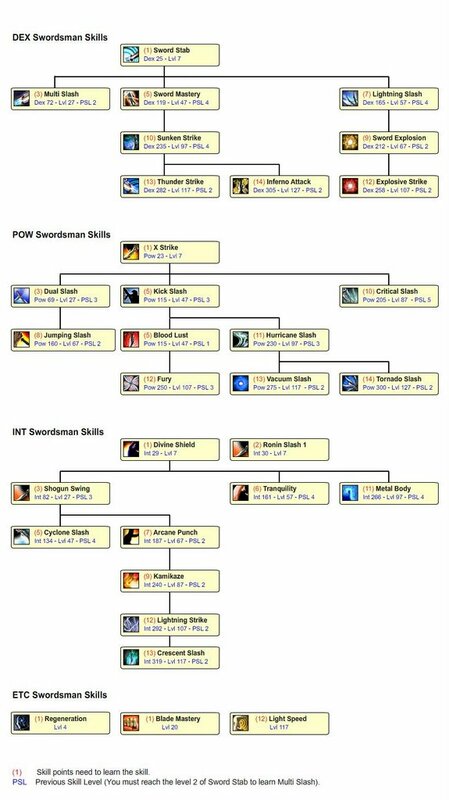 This skill is good for dueling and PK purposes though if you are up to the roleplaying element of the game, its better not to master this skill. I didn't place any skill points in concentration and I can still hit them with my kicks in duels(against higher level dex builds,10-20 levels higher than mine... except archers of course, they are evasion queens hehehe!). Thats right, power brawler's weapons are really EXPENSIVE!!! Now why is that? based on RAN population, dex brawlers are really the majority so when you buy at the market, expect to see higher priced weapons (with consideration of -RV'ed items but... sometimes thats not the case). - Heavy Punch (66%) --> WOW!!! And now maybe you're wondering why I mastered the skills? Just to see their pull/push chance of success. And the highest there is Heavy Punch (66% chance of pull/push WOW!!! dex types are really good at cancelling) and Side Kick (58% chance pull/push). So in dueling, you want to cancel attacks of opponents right? And if you're still at lower levels, use the highest push/pull chance skills AND.. take note AND the skills with the fastest execution frame. Preferred combo for a power brawler (lower level 67 less): THIS IS A THREE SKILL STRING COMBO to be repeated simultaneously if the opponent is still alive. 1) Side Kick / Sonic Slash - Side kick for cancelation, Sonic Slash if you think the HP of your opponent can be dealt with one shot kick. OR use Heavy Punch if you're POW - DEX type. 2) Chain Kick - Good follow up after Side Kick or Sonic Slash. IF and only IF you see the animation rate of your opponent attacking you with a skill (happens when you have electricity/lightning type of weapons OR you really have good eyes hehehe!) 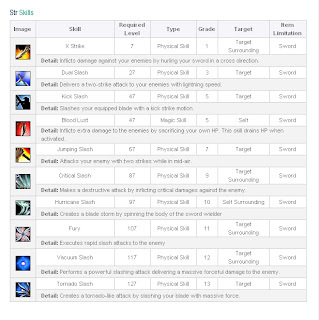 use Side kick OR Sonic Slash either skill which you have'nt used yet (remember there is a cooldown time for skills). Also why chain kick? 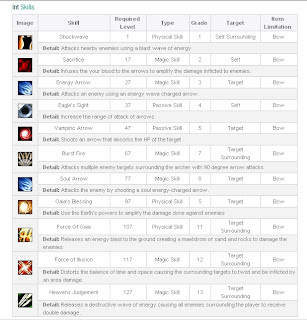 this is best to add chances of successfully landing an elemental attack (to either slow or damage the opponent more). 3) Then you can use a normal attack (no skills) OR if your Side kick has cooled down, use it. Now whats number four? You think this was a three hit skill? 4) Spinning kick - This is suicidal, very slow execution time but you can use this as an optional combo finisher. 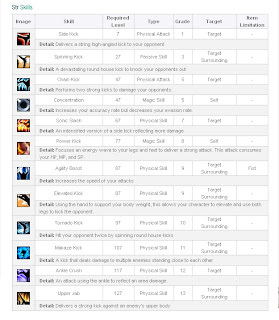 If the opponent has low HP and is slowed (elec or ice) use this skill. Not only does it show a cool animation frame (RIDER KICK!!!) it also good for style points hehehehe! Remember this combo does not always succeed however chances of success based from my playing level with opponents higher (77-90) than me when I was level 67, the combo worked almost 50% of the time hehehe! AND TAKE NOTE THIS IS FOR DUELLING PURPOSES! Haven't tried on PK hehehehe! By the way for higher level power brawlers out there, please place your combos on this thread. Or other suggestions please feel free to correct me if I'm wrong. 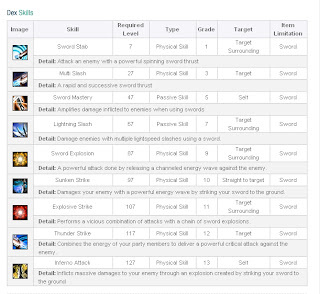 Though I think a starter for their combo is either agility boost or makaze kick. based on my observation... please correct or clarify. The best friend a man has in this world may turn against him and become his enemy. His son or daughter that he has reared with loving care may prove ungrateful. Those who are nearest and dearest to us, those whom we trust with our happiness and our good name, may become traitors to their faith. The money that a man has, he may lose. It flies away from him, perhaps when he needs it the most. A man’s reputation may be sacrificed in a moment of ill-considered action. The people who are prone to fall on their knees to do us honor when success is with us may be the first to throw the stone of malice when failure settles its cloud upon our heads. A man’s dog stands by him in prosperity and in poverty, in health and in sickness. He will sleep on the cold ground, where the wintry winds blow and the snow drives fiercely, if only he may be near his master’s side. He will kiss the hand that has no food to offer, he will lick the wounds and sores that encounters the roughness of the world. He guards the sleep of his pauper master as if he were a prince. When all other friends desert, he remains. When riches take wings and reputation falls to pieces, he is as constant in his love as the sun in its journey through the heavens.